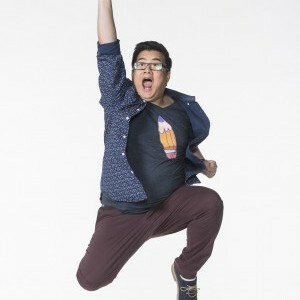 Tony is a lovable and hilarious nerd hailing from Vancouver. In addition to being a star improviser, Tony has a number of acting credits to his name. Tony brings with him a variety of musical talents including vocals, rap, piano, and clarinet. He is always at the ready to defend his title as Comic Book Nerd Champ, in either English or Vietnamese. His warm, youthful energy and comfort on camera make Tony feel like an instant friend.